SHAH RUKH KHAN – I have more faith in him than anything in this world. My favorite person on earth. My journey to finally meet him has been crazy. I became his ardent fan seeing Darr. I started crying seeing his chest oozing with blood. Little did I understand as a kid. I was explained its not real but I had already fallen for SRK . My love for him was real and for keeps. The craze, insanity had begun for the phenomenal SRK. Creating a collage of his pictures in art books & decorating it with sparkle was my art. I still recall the first time I saw him, on 7th February 1999 at a diamond merchant & producer’s son’s wedding at Mahalakshmi race course. Seeing a huge crowd outside the wedding entrance, something inside me told me its SRK. I jumped out of the car to catch a glimpse of him as if I would wait for the car to get parked I would miss the golden opportunity of seeing him. Clad in full black he looked so dapper & handsome, my hero. Still little amount of perfume is unused & intact as I believe that’ll keep my love intact for him. I’ve always striven to be a better person as he is my inspiration. He taught me that failures are not permanent. Unless you don’t experience failure, you won’t get the taste of success. Sometimes you win & sometimes you learn is what I imbibed from him. I made creativity my best friend like him & became a jewelry designer & merchandiser designing for brands. Fascinated by his rags to riches story, I love the fact that he’s self made & has accomplished so much by his legendary hard work & determination. I went for the Coldplay concert only for him as he was hosting it. He announced that 80000 fans are here for Coldplay & I was like in my mind “no its 79999, Im here only for you Shah Rukh” My sister laughed at me that I was the only one who came for SRK & not Coldplay haha. The happiest & most memorable day of my life. I didn’t sleep a wink as I was damn excited to go for the party organised by SRK universe specially for us SRKians. Being associated with anything about SRK is a high for me. I was so delighted to see fans from all over the world like Hongkong, Canada, Malaysia, Japan at the party. There was naach, gaana, bajaana, the works. Every word, song & dance there breathed SRK. Yayyyyyyyy! I decided not to eat anything until I get to meet him. 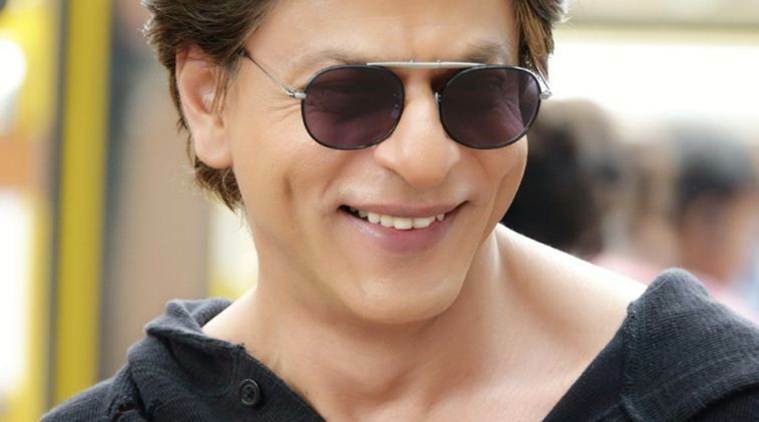 Call it insane, call it psycho – I am for SRK. I was only on water & 1 glass of Mirinda which I drank at the SRK universe party. It was like an SRKchauth for me haha till I don’t get to see my moon (SRK). After a super hit party, we proceeded to Mannat in the afternoon to see our king at his kingdom. It was the most exhilarating experience I must say. Indians, foreigners, people from small towns maybe even villages had gathered. Classes & masses. I managed to squeeze into a safe spot under a tree right ahead of Mannat. Every few minutes there was lathi charge & I could see a horde of people running towards me as if they gonna run over me. It was absolutely mental. I held my ground but as the crowd went haywire, I also started running with the flow haha. Almost an hour after dying to see SRK, he arrived on his throne stylishly waving out to us, striking his mind blowing pose with his wonder kid, Abram by his side. One after another surprises kept pouring in. The biggest being that I get to meet SRK at his birthday bash. My happiness knew no bounds that time. The party started with a bang. His spectacular mashup & the most beautiful & touching thing I have seen ever was a musical dedicated to him which described him so perfectly that I got emotional with a lump in my throat. His entry was the grandest I have seen in my life. He was welcomed like a king. Loudest cheers, screams, emotions ran high for the world’s biggest superstar. I screamed my lungs out. Exalting top notch style, charisma & shimmering radiance, he looked every ounce of a king. There was a quick Q & A session, some dialogue-baazi in his dynamic baritone. He shook a leg on jabra fan & we SRKians went absolutely crazy. The stage was literally on fire. He’s charming, dashing, witty, humble, irresistible all rolled into one. Then came the most awaited moment which I was dying for. When I met Shah Rukh, my heart skipped a beat. Meeting my prince charming was a fairy tale moment. I embraced the man of my dreams with a hug, wished him the happiest birthday, told him I loved him so so so much & that he’s the best. He graciously smiled (that killer smile of his) & thanked me. Yash may all your dreams come true 🙂 Thanks a ton for everything. SRK is the reason I believe in love. SRK is the reason I dare to dream & follow my passion. He can make me smile when im down & low & out enabling me to achieve my dreams. SRK was my dream. Thanks a million for making me live my dream. He’s a part of my heart & soul. Love you jab tak hai jaan.